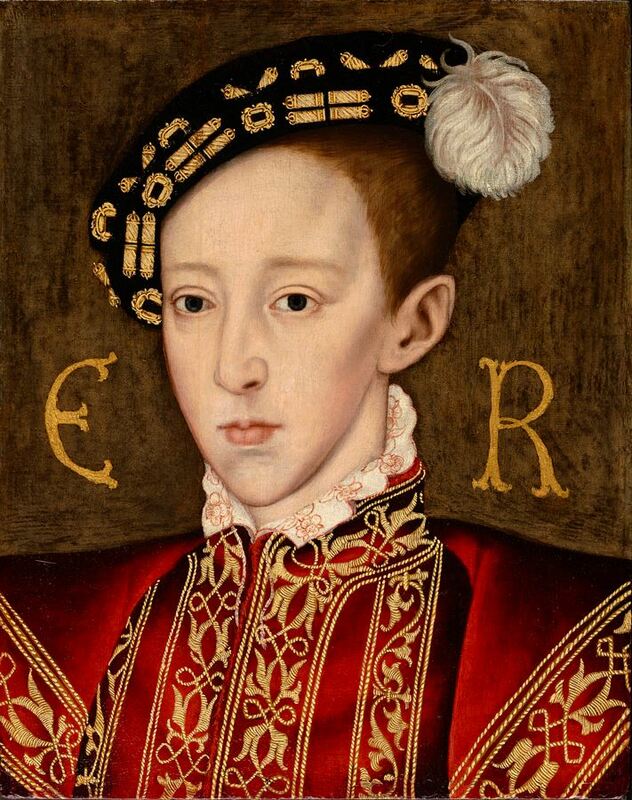 Edward VI was King of England and Ireland from 28 January 1547 until his death. He was crowned on 20 February at the age of nine. Edward was the son of Henry VIII and Jane Seymour, and England's first monarch to be raised as a Protestant. During his reign, the realm was governed by a regency council because he never reached his majority. In February 1553, at age 15, Edward fell ill. When his sickness was discovered to be terminal, he and his Council drew up a "Devise for the Succession", to prevent the country's return to Catholicism. Edward named his first cousin once removed, Lady Jane Grey, as his heir, excluding his half-sisters, Mary and Elizabeth. This decision was disputed following Edward's death, and Jane was deposed by Mary nine days after becoming queen.